Every craftsman has a trademark - something you do differently or better than anybody else. And CAT Apparel has a trademark, too: these Men’s C172 016 Black Multi-Pocket Trademark Trousers with their classic style hard-working design and exclusive C2X canvas fabr ... (see full details) (see specifications) #C172-016. Every craftsman has a trademark - something you do differently or better than anybody else. And CAT Apparel has a trademark, too: these Men’s C172 016 Black Multi-Pocket Trademark Trousers with their classic style hard-working design and exclusive C2X canvas fabric for all the space you need to store all the tools you need to get your job done. Every part of these men's trousers is made for the tough jobs, from knee pad pockets to scuff guards to reinforcements right where you need it. You don't have to worry about babying your work clothes when it comes to these CAT Apparel pants. 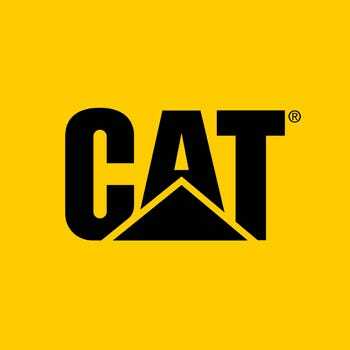 It makes sense that CAT would understand how much strength you need to make it through a job site, considering that their products are on just about every construction site in America. When you need work clothes, trust CAT Apparel to deliver. The exclusive C2X fabric is 8.8 ounces of 60% cotton for all the softness and flexibility you need and 40% polyester for the strength you require in a durable canvas that's just right for the job site. This canvas has double brush back 900D 100% polyester oxford for abrasion resistance. And believe it or not, these black multi-pocket pants are also breathable, so you don't have to worry about roasting in thick, stiff work pants. Basically, that means good luck trying to wear out these Trademark trousers. The classic fit has 20-inch leg openings to easily fit over your work boots with a straight leg style that's roomy and professional. These black canvas pants have holster pockets, knee pad pockets, and so much more. The durable Oxford pull-out tool pockets are available to secure multiple tools easily within reach when you need them and tucked away comfortably when you don't. An easy access ruler pocket with carpenter loop on the side leg makes for extra convenience in your day, and the cell phone pocket with dependable closure and tool loop is located on the right side. The bellowed side cargo pockets have secured flap closures and layered multi purpose pockets inside. These pockets extend when they're full for extra space, but rest flat against your legs when they're empty to reduce bulk. There are also waistband tool holders with hook and loop fasteners to easily attach other work necessities. The contrasting inside waistband has gripper tape to keep your men's shirts tucked in and your CAT pants in place while you work. The extra wide back belt loop keeps your leather belt in place and prevents any unnecessary plumbers crack. Trust us, your co-workers will thank you. In order to give you the space you need and the places you really need it, the diamond crotch gusset gives you extra room for movement, and the articulated knees reduce the fabric bulge at the back of the knee to maintain proper blood flow while you work. Scuff guards in extra durable 900 denier Oxford reinforce these cargo pants in all the right places. Your trademark is always your best work, and these CAT Apparel Men’s C172 016 Black Multi-Pocket Trademark Trousers are definitely some of the best CAT and Working Person's Store has to offer. CAT Apparel Pants: Men's C172 016 Black Multi-Pocket Trademark Trousers is being added to your cart.